I know you’ve written a lot about emergency funds, but my question is can a Roth IRA serve as an emergency fund? At first blush, the answer seems obvious. Roth IRAs are designed for retirement investing, not for use as a short-term savings vehicle. Thus, nobody in their right mind would use a Roth as an emergency fund. Or would they? Did you know that you can withdraw your Roth IRA contributions without paying any taxes or penalties? This rule applies only to your contributions, but it provides a significant degree of flexibility when it comes to managing your Roth IRA. 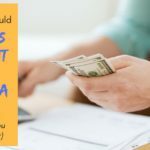 At the same time, I would caution against pulling money out of a Roth IRA unless absolutely necessary, as your future contributions will still be subject to the normal contribution limits. In other words, you won’t be able to simply put the money back into your account. With the foregoing information as a backdrop, let’s return to the original question… Can a Roth IRA serve as an emergency fund? Yes, with some limitations, it can. More importantly, should you rely on your Roth IRA as an emergency fund? In my opinion, the answer is no, except under very specific circumstances. Beyond the inability to put your money back into your Roth IRA after you recover from whatever emergency happens to crop up, you also have to consider the issue of liquidity and accessibility. If your Roth funds are invested in a “normal” fashion, then you likely have at least some of the money in stocks. If you rely on your Roth as an emergency fund, you might be forced to sell investments when the market is down. As for accessibility, even though you’re allowed to withdraw your contributions whenever you want, it could take a week or so to receive funds from your IRA custodian. Thus, you shouldn’t rely on a Roth IRA to cover you in circumstances that require immediate access to your money. I noted above that relying on your Roth IRA as an emergency fund is a bad idea except under very specific circumstances. The circumstances that I’m talking about are when you have a healthy emergency fund in place, but not enough excess to contribute to a Roth IRA. In this case, you might want to consider using a portion of your emergency money to fund a Roth IRA, secure in the knowledge that you can always pull the money back out if an emergency crops up. There are two important caveats here. First, be sure to keep enough cash in a local account to cover any short-term, immediate needs that might arise. That way you won’t find yourself in a pinch as you wait for the check from your IRA custodian. Second, don’t invest this money in anything that is subject to market fluctuations. Instead, keep it in a money market fund, or something similar. Once your emergency fund recovers (more below) you’ll be free to invest more aggressively. Once you make the contribution to your Roth IRA, it’s time to buckle down and rebuild your emergency fund. If something goes wrong and you need to pull the money back out, there was no harm done. After all, you wouldn’t have contributed to the Roth in the first place, so you don’t really lose anything by withdrawing your contributions. On the other hand, if all goes well and you get your emergency fund rebuilt before you need it, you’ll be a step ahead. You’ll now have a fully-funded emergency fund plus money in a Roth IRA. At this point, you’ll be free to invest the Roth funds more aggressively. Obviously, you can repeat this process many times over, and don’t forget that it works the rules are essentially the same for a spousal IRA. Thus, depending on your circumstances, both you and your spouse can take advantage of this strategy. I put 2% of my paycheck into a savings account. I then put 23% into a 401k (my company matches up to 3%). And then I put about $2,000 a year into a college fund. If I ever lose my job, ill go back to school, and use the savings account to eat deli sandwiches with. And since my 401k is a retirement fund, I will qualify for govt assistance, and then cash it out once I get my school paid for. I would probably join a fraternity from there, and get free housing. I am glad to see more people taking advantage of tax exempt accounts for emergency savings. I have been advocating this to friends for years. For the commenters who think it is a bad idea you are going to justify your position mathematically. Out of curiosity how is the money from a ROTH 401k that is rolled into a ROTH IRA treated in regards to this? 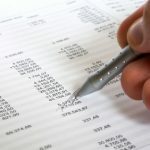 Would I be able to withdraw the contributions I made to the ROTH 401k penalty free now that it is a part of the ROTH IRA? I’m curious why you’re immediately dismissive of this option “Bad idea in general…”. I think it’s an excellent way to save on taxes for someone who otherwise would not max out a retirement account for a given year. Is there anytime in particular you don’t like about the idea? In my case, mine is the only income to support my wife and two small children. 2009 was the first year we’ve ever maxed out both our ROTH IRAs (I contribute to my 401(k) to receive the maximum company match). The fact that much of the money came from our emergency fund didn’t impact our retirement savings for 2009. We had already contributed what we planned for the each for each ROTH, then made up the rest of the $5,000 limit from our emergency cash. Our current retirement savings percentage (without maxing both IRAs) is 15% of my gross earnings. It would be great if we managed to earmark $10K strictly for retirement into our IRAs, but that just isn’t possible right now, so I might as well “stash the cash” somewhere it’s protected from taxes. It would be one of my last ditch efforts. Bad idea in general but an option nonetheless. Great post, Matt. I really like your approach and feel that it is spot on. Makes me feel that I’ve been heading in the right direction. This is actually the emergency fund strategy I use. I got the idea from the book “Why Smart People do Stupid Things with Money”, by Bert Whitehead. It’s a very interesting book, though some of the stuff he says about real estate doesn’t mesh with what happened when the economy (nearly) melted down. The strategy described by the book is to keep at least 10% (my goal is actually 15%) of annual income in a checking/savings/cash account to cover unplanned large expenses, such as when a vehicle needs emergency repairs or a family member takes a trip to the ER. On top of the readily-accessible cash account, set aside 20% of annual income in retirement accounts (ROTH for those who qualify). This is the true emergency fund, only to be accessed due to a major life event, such as significant injury, illness or loss of job. 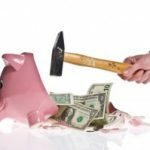 If the emergency fund needs to be tapped, chances are it will be the major source of income, and therefore the tax penalties for removing funds will be diminished (and zero if using a ROTH and only removing contributions). The emergency funds should be in “stable” investments such as CDs, US Treasuries, money market funds or inflation protected securities. You’re not trying to hit a home run with this, you want the money there if you need it. I am still in the process of getting this all set up (I’m about half done – it takes time due to contribution limits on retirement accounts). I’m going with a 50/50 split of local credit union ROTH CDs and the Vanguard TIPS index fund. 1) I avoid taxes on the earnings.In this interest climate it’s a minor concern, but I don’t believe interest rates will stay this low over the long term. 2) The money is not readily accessible. It’s a cushion against the truly difficult times in life, not an account to pull money from to pay for whatever seems like the “emergency” of the moment. 3) If I never tap this emergency fund, I have gained a lot of money to use in retirement, tax-free (for ROTH accounts). This is not money I typically include in figuring how much I have saved for retirement, so if it’s still there in 30 years, I just got a bonus! I’m happy with this solution, but I’m very interested in what others have to say. Thanks…the Roth as a contingency (as opposed to an emergency) fund is something I have been thinking of lately. I look at the contingency fund as something I can withdraw only in worse case scenarios and something that is penalty free. I had a question. While Roth contributions can be withdrawn penalty free, should we track other things? For instance, if I have only made one $1000 contribution 2 years ago and this is now valued at $960 which includes $60 of dividends, can I withdraw -penalty free – the whole $960 or only $900 (i.e. less $60 of dividends)? A bad idea in my book under almost any circumstances unless you need it to put food on the table.